While I am very biased that New York is the perfect vacation destination for all—as it has buildings from all eras of American history and so many cultures that you can travel around the world without ever leaving the five boroughs, it can sometimes be difficult to find free destinations. 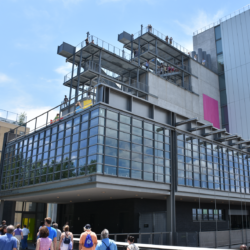 Although there are many museums that have “pay what you wish” policies and others with free days or nights, New York will probably never have as many free museums as the capital of our great country, Washington, DC, has. With that said, New York does have Smithsonian Institution Museums (two to be precise), including a branch of the National Museum of the American Indian (NMAI). The NMAI branch in New York dates back to the early 1900s when oil and construction magnate Carl Gustav Heye began to amass a collection of Native American artifacts after supervising several infrastructure projects in the Southwestern U.S. Heye would found the Museum of the American Indian in 1916, where it would be based in Upper Manhattan and contain artifacts and objects from native peoples across North and South America. In the 1980s, Congress passed an act that created the NMAI and would amalgamate the Museum of the American Indian’s collection into the Smithsonian Institution. Several of Heye’s collected artifacts—including many funerary objects and pieces sacred to Native American tribes, were returned. 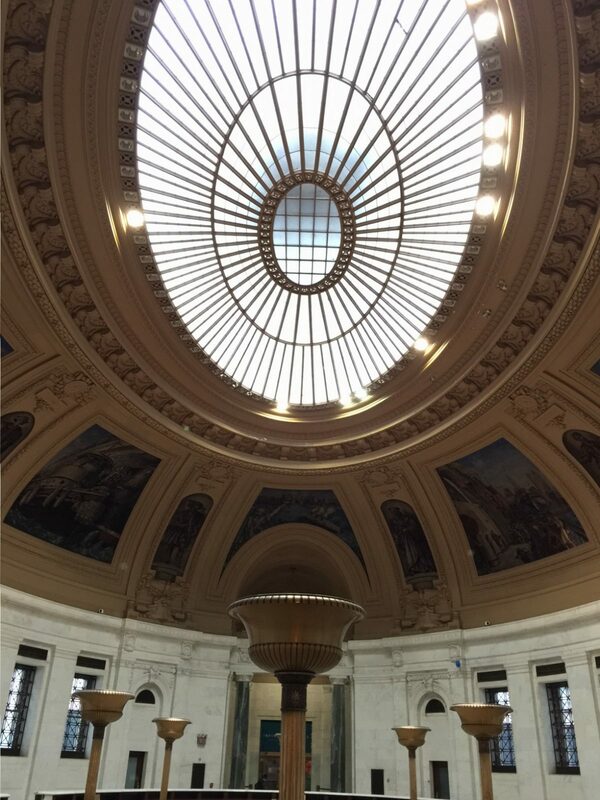 In the 1990s, the NMAI began to occupy two floors of the recently renovated Alexander Hamilton Custom House in Lower Manhattan—as part of a stipulation in Heye’s will that the collection not leave New York City. In 2005, some of Heye’s collection was transferred to the new main NMAI location in Washington, D.C.
One of the other remarkable things about the NMAI branch in New York is where it is housed. The museum is located in the former Alexander Hamilton Custom House, which was built by architect Cass Gilbert in 1907. The front of the building contains statues representing the continents and the inside contains a vast rotunda that was repainted in the 1930s by the Works Progress Administration, containing scenes of the Port of New York and New Jersey in full swing. In addition to the NMAI and the historic rotunda, the building also contains a branch of the U.S. Bankruptcy Court and a branch of the National Archives. Although not one of the more well-known museums of the city, the NMAI branch is worth a visitors time—not only because it is free, but also since it provides a world class collection of artifacts in a well-preserved and historical setting. This is not only the kind of information you will learn on a Sights by Sam tour, but also you are able to see the Alexander Hamilton Custom House on my “Foundation of New York” tour.